1. Forever Young. Dancing is tremendously beneficial in keeping us young. It retards the aging process immensely. It benefits our heart, cardiovascular system and increases our lung capacity. Fact: The muscle exertion and breathing rates of dancers performing in one dance competition is equivalent to those of cyclists, swimmers and an Olympic-level 800-meter runner. 2. Strong Bones, Lubricated Joints. 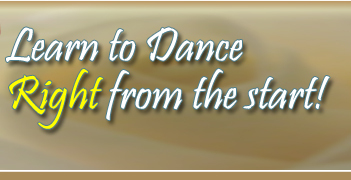 Dance aids in the prevention and treatment of osteoporosis, which is a major concern for woman, especially during post-menopause because of the significant drop in estrogen that occurs at this stage. A decrease in our estrogen levels is what stops calcium from being absorbed into our bones. 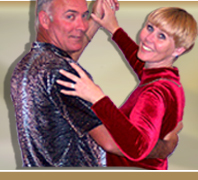 Dance also keeps joints lubricated, which helps prevent arthritis. 6. It's All About Balance. Balancing yourself in one position may be easy, but balancing in the numerous types of positions involved in dancing is much more difficult. Dancer's have mastered the ability to balance themselves in a number of positions. This strengthens our stabilizer muscles, while protecting our core and keeping us less prone to injury in our daily lives. Dancing also aids in co-ordination and helps strengthen our reflexes. It is a great way to keep our Central Nervous System and Peripheral Nervous System in tip-top shape by improving the connection of our bodies to our mind.